We got these little critters on Friday night. Our older hens have no interest in them, so I’m determined to make them people friendly chickens. They snuggled into my hair this morning. 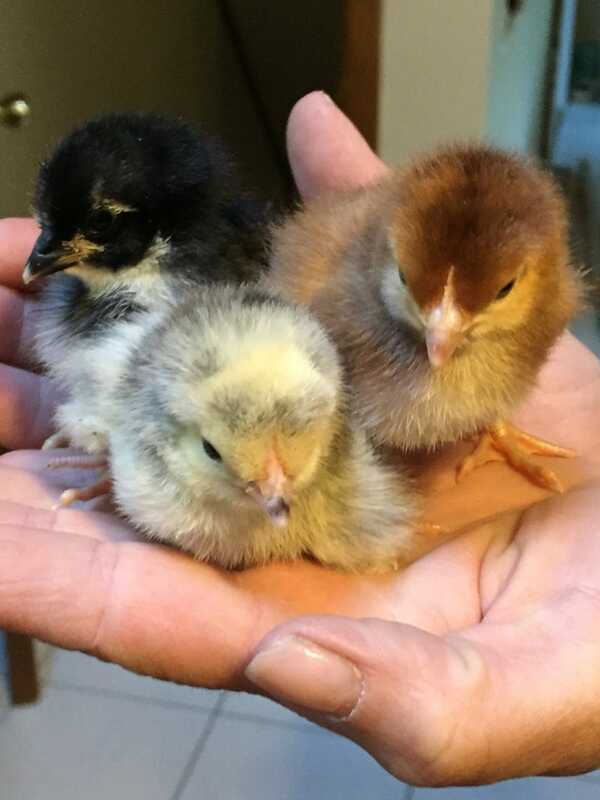 The yellow one, a Colombian Wyandotte, is Shakira. The red, a Rhode Island Red, is Loretta Lynn. The black, an Australorp, is Olivia Newton John.